Behold Studios is returning to the Pen and Paper franchise and taking it to new heights quite literally. 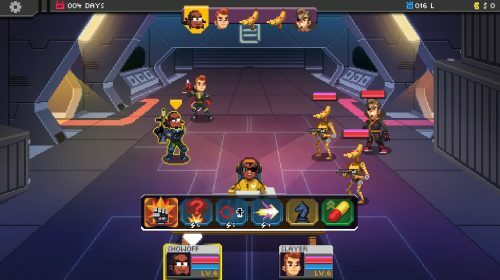 The latest game is Galaxy of Pen and Paper, featuring a new sci-fi setting with the same tabletop RPG premise. Players will be able to create a party of galaxy faring adventurers and guide them through an epic journey filled with pop culture references and nerdy humour. While the game was scheduled to launch in July, Capsule Computers was able to check out the most recent alpha build. Much like it’s predecessor Knights of Pen and Paper, Galaxy of Pen and Paper stars a party of tabletop RPG players and their storytelling dungeon master. This time around, the party is trying to play their RPG online through some sort of chat service. The writing is once again filled with nerdy humour. Anyone who has had the pleasure of playing a tabletop RPG will be instantly right at home with the banter between the dungeon master and the players. A few scenarios hit a little close to home, evoking memories of hilarious misadventures. Science fiction fans will be pleased to hear that the game so far has been liberally salted with references to sci-fi franchises new and old. At the start, players are able to create two characters. The character system is much simpler compared to table top systems like D20. 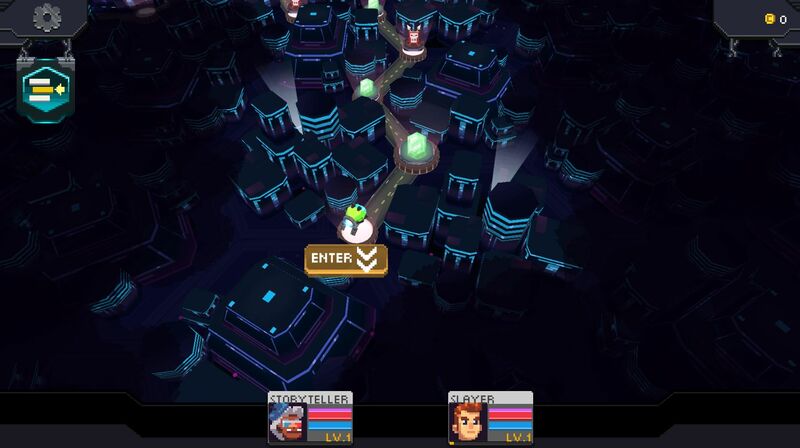 Players only need to contend with four stats that are determined based on class, species, and player personality and then further modified by equipped gadgets. 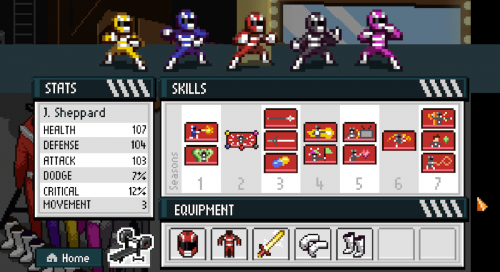 Each character can equip up to three gadgets each. Players get one skill point per level to purchase skills from a mixed pool of universal and class specific skills. Skills can be either passive or active, which cost energy points. Players can only equip four skills at a time, but can freely switch between purchased skills between battles. The game gives quite a bit of room for players to create their own adventure. While a main quest line is available for play, players can always create some side quests with their own parameters to grind out some money, loot, and experience. Like the previous titles, combat scenarios are usually determined by the player. Throwing in extra enemies in a battle will raise the difficulty, but also reward players with extra gold, experience, and/or loot. Players are also given the option to tackle game chapters in any order they choose under the guise of the dungeon master buying new game modules. Combat is a simplified version of standard turn based combat. New to the series is shields that regenerate every turn. The addition tweaks the rate items are used compared to previous games as less HP is lost overall. The full compliment of status effects is available, though some of the less obvious status effects are not explained clearly. It seems like Galaxy of Pen and Paper is putting a much greater focus on using skills that have extra effects when a status effect is present. When combined with the maximum of four skill slots per character, the combat system has an appealing amount of depth. Those who prefer simpler combat are still well served by stacking passive skills instead. Players will also have to strategically position characters in combat. Characters in the back lines have lower threat generation, and enemies in back lines can only be hit with certain abilities while they have allies in front of them. Certain skills can also be used to move enemies between lines, adding a new strategic option for dealing with pesky healers. New to the series is ship to ship combat. 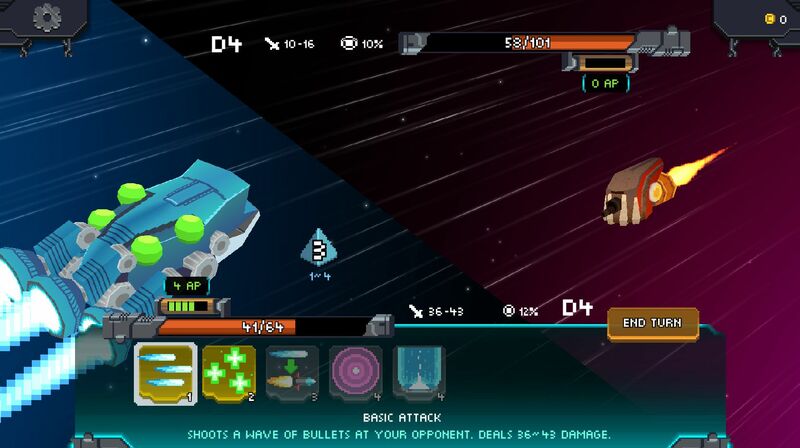 Players can travel between planets and randomly encounter hostile ships to battle. Combat is also turn based, but the rules are slightly different. At the beginning of each turn, players roll a dice to add action points to their pool. Abilities cost AP to use, with the cost rising by one for each time it is used in that turn. Any leftover AP is carried over to the next turn. The ship to ship combat is even simpler than the main ground combat, but so far it has been a nice occasional change of pace. Behold Studios is continuing to use pixel art in Galaxy of Pen and Paper. The sprites look great, with many unique and eye catching character designs. The UI is simple and works well with touch-based screens. I absolutely adore the Pokémon inspired UI of the ship to ship combat. The sound effects have been excellent so far. The chiptune music has some very catchy songs. Several reminded me of songs from cartoons and video games from the 90s, which was a pleasant bit of nostalgia. 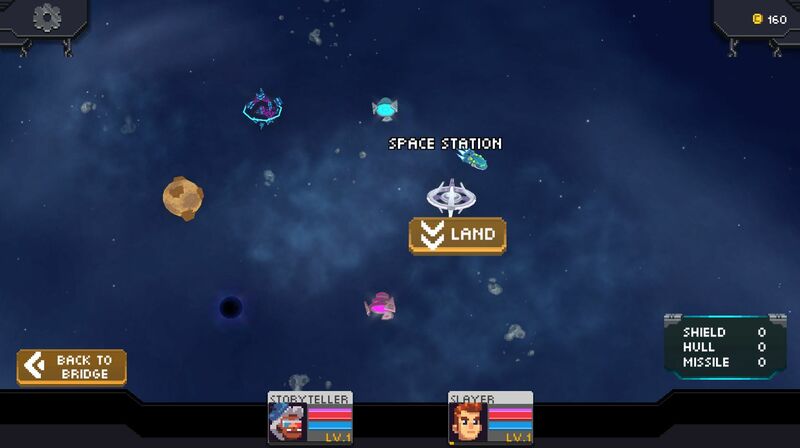 Galaxy of Pen and Paper is clearly more than just Knights of Pen and Paper reskinned with a science fiction theme. The game adds some new and interesting elements that adds some welcomed variation to the new title. Behold Studios is well on their way to releasing another solid RPG that is casual enough to pick up an play anywhere but complex enough to keep veteran gamers entertained.